Stocking rebuilt transmissions, transfer cases & differentials. 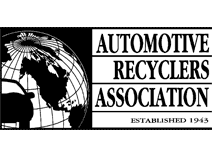 Family owned and operated for 30 years, Alberta Auto Wreckers is an environmentally friendly auto recycling shop located in Redcliff, Alberta. When we get a new car or truck in, we strip all of the good parts and sell them to you at a reasonable price. You’ll save money thanks to choosing recycled parts and it’s a more environmentally friendly option, too! Just give us a call and we’ll locate the part and get it to you as soon as possible. We also offer a shipping service throughout Canada and the United States. Just give us a call toll free at 800-465-7692 and we’ll scour our inventory for the part you need and ship it to you promptly. We offer free pickup in the surrounding Redcliff area on certain types of vehicles—call for details. 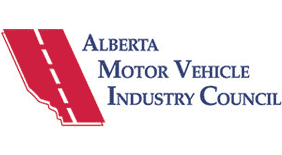 AARDA certified and AMVIC licensed, Alberta Auto Wreckers serves everyone from body shops to walk-in customers—anyone who needs a high-quality used or new auto part. Our network of suppliers across the world ensures that if we don’t have the part currently in stock, we can get it for you somewhere. Don’t have time to come in? No problem. Just call us at 403-548-3149 and we’ll locate the part you need! 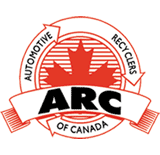 At Alberta Auto Wreckers, we are dedicated to offering high-quality new and used auto parts at reasonable prices. Our team of skilled auto experts is committed to providing prompt, reliable service and getting your automobile the part that it needs.